Manchester's historic district and incredible views give the city instant charm unlike anywhere else in the nation. But getting around to its many cultural destinations and beaches is far more difficult if you have a damaged car. If you're looking for Manchester junk car buyers though, you may not realize that traditional scrapyards aren't always the best place to go if you're looking for a fair price. DamagedCars.com offers cash for cars in Manchester plus free towing services in and around the city to those who want to get the most of their salvage cars. 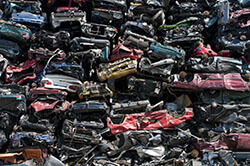 We specialize in evaluating and buying junk cars online, without the high-pressure sales environment of most junkyards. DamagedCars.com has built our reputation by carefully streamlining every detail of junk car removal for our customers. If you're wondering 'Where can I sell my car in Manchester", you should know that you can receive a free online quote from our website, plus free towing within 24 – 48 hours. Don't waste your time and money towing your car to several different junkyards when you can sell it to us and be done with it! We give Manchester residents cash for cars so they can go out and buy a vehicle that's safer and more reliable. What kind of cars do you buy in Manchester? 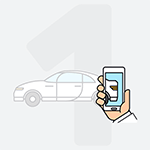 Our services are available to everyone — even those with cars in perfect condition. However, our specialty is working with people with damaged cars that aren't worth the cost of their repairs. What do I need to sell my car in Manchester? DamagedCars.com only needs the keys and the title to take possession of a car in Manchester. Once we have everything we need, we pay the owner so they can get back to their originally scheduled life. We simplify everything from start to finish, so you can don't have to sweat the details! 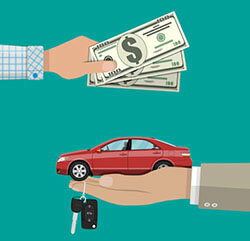 How much can I get when I sell my car in Manchester? The exact price we offer for your car will depend on not only the make, model, and year of the car, but also the condition and location as well. A typical junk car scrapyard in Manchester will only give you a quote based on the weight of the scrap metal (which is currently selling at an all-time low.) We take into account the premium features and other salvageable parts of the vehicle so you can get the best possible price. We buy junk cars because we've done our homework on how to make our business run as smoothly as possible. We keep our costs down so we can pass those savings to our customers, and we look at every possible angle of how to extract value from the car. 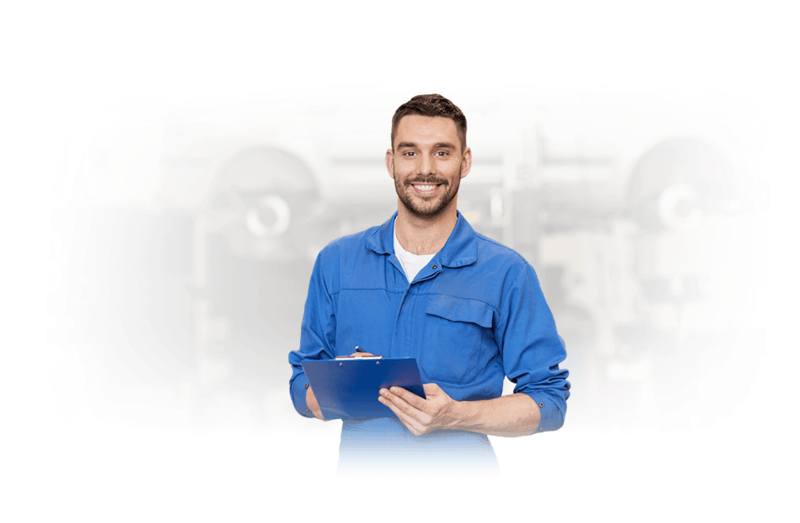 We know that cars in need of extensive repairs often aren't worth it to fix. A mechanic may not even know the extent of the damage until they get started! 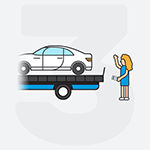 DamagedCars.com eliminates the stress of indecision so you can finally part with your damaged car and buy a better vehicle. Manchester may be a small spot on the larger map of the US, but it's packed with a lot of big history. The textile industry played such a big part of the town's development that many of its most popular establishments are housed in the old mill buildings. Throughout all the changes and turmoil, it's managed to survive through its own resiliency and flexibility. Today, Manchester continues to thrive due to its manufacturing and financial sectors, and will undoubtedly keep its entrepreneurial spirit long into the future. Where do you buy junk cars in Manchester? We buy cars online in Manchester and everywhere around the United States. So if your car happened to break down just outside the city limits, we'll be happy to come meet you wherever you'd like! What should you know before selling to a junkyard or private buyers in Manchester, NH?